Usually leading the list of "canceled too soon" shows is this short-lived series set in the '80s from "Bridesmaids" director Paul Feig. It served as a launching pad for some of today's hottest comedy talent, including James Franco, Seth Rogen, and Jason Segel. Linda Cardellini ("Bloodline") starred as a mathlete who starts hanging out with the "freaks," while her younger brother (John Francis Daley) and his pals are the "geeks." IMDb users have given it 8.8 out of 10. Another seriously underrated series that was kept alive thanks to devoted fans: Kyle Chandler starred as Coach Eric Taylor and Connie Britton played his wife, principal Tami Taylor. Among the students were a paralyzed quarterback (Scott Porter), alcoholic fullback Tim Riggins (Taylor Kitsch), cheerleader Lyla (Minka Kelly) and star running back Brian "Smash" Williams (Gaius Charles). IMDb users have ranked it 8.7 out of 10. Teen sleuth Veronica (Kristen Bell) solves the murder of best friend Lilly Kane (Amanda Seyfried) and dozens of other cases while navigating the treacherous waters of high school in this cult classic show that yielded a fan-funded big-screen movie follow-up in 2014. It's got an 8.4 out of 10 rating on IMDb. Since Sunnydale High is on a hellmouth, Buffy Summers (Sarah Michelle Gellar) spends more time slaying vampires and demons than doing homework. She's aided in her fight against evil by her librarian watcher Giles (Anthony Head) brainy Wiccan pal Willow (Alyson Hannigan), good vampire beau Angel (David Boreanaz) and werewolf Oz (Seth Green). IMDb users rank it 8.2 out of 10. There’s a lot more to worry about in Mystic Falls than who’s asking you to the prom: There are vampires, werewolves and witches in this hit supernatural CW series that revolves around two centuries-old vampire brothers (Ian Somerhalder and Paul Wesley) in love with high school student Elena (Nina Dobrev). Ranked 7.8 out of 10 by IMDb users. Photo by Bob Mahoney © ©2011 The CW Network. All Rights Reserved. 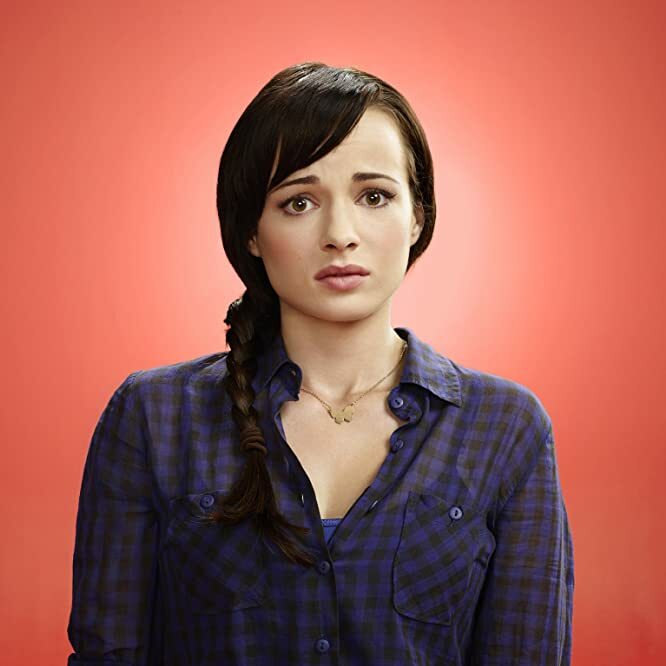 "Loser" Jenna (Ashley Rickards) becomes unexpectedly popular after an accident is mistaken for a suicide attempt. Now she blogs about all her high school drama in in this MTV comedy that's smarter than your average show aimed at teens. IMDb users give it 7.7 out of 10. Tyler Posey stars as Scott McCall, who finds that becoming a werewolf makes him a great athlete but also comes with its own unique set of problems in this MTV series that costars Dylan O'Brien, Colton Haynes and Tyler Hoechlin (who left after Season 4). IMDb users have given it 7.7 out of 10. The fifth Degrassi series follows students from Degrassi Community School, a fictional high school in Toronto, as they navigate their way through high school dealing with problems including racism and cyber bullying. Ranked 7.1 out of 10 on IMDb. Everybody, sing! 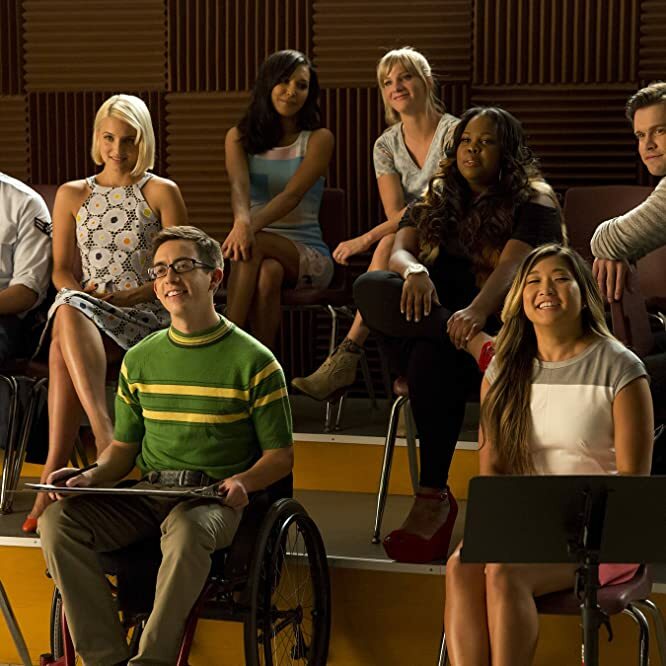 This fun-filled series about a high school glee club -- including Lea Michele, Cory Monteith, Chris Colfer, and Amber Riley -- helped bring music back to schools everywhere and made being a theater geek kind of cool again. Rated 6.7 out of 10 on IMDb. Up for some '90s nostalgia? Take a visit to the Peach Pit with Brenda (Shannen Doherty) and Brandon (Jason Priestley), Dylan (Luke Perry) and Kelly (Jennie Garth), Donna (Tori Spelling) and David (Brian Austin Green). The series has been ranked 6.2 out of 10 by IMDb users.